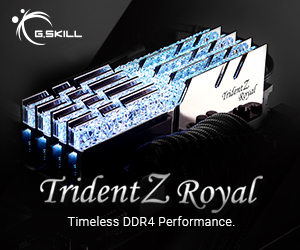 Next we turn to the Deepcool Captain 240 EX. 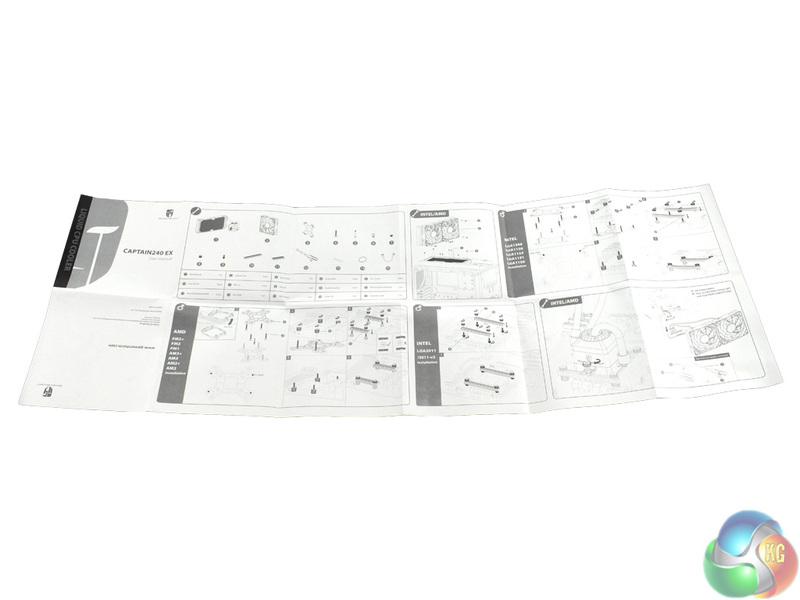 We reviewed the original model HERE. 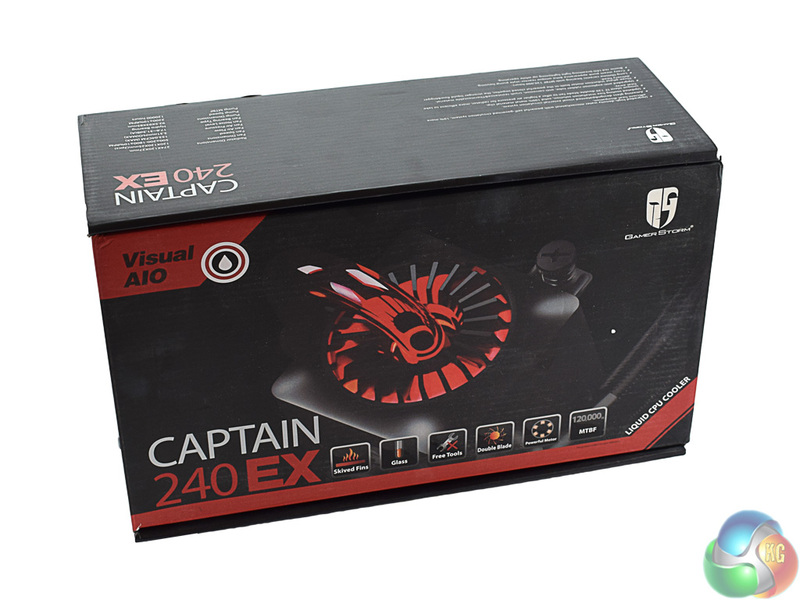 The Captain 240 EX retails for £99.99. 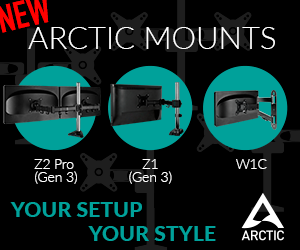 The Captain 240 EX actually mounts on side rails – bringing it more in-line with an air cooler installation than an AIO. Still, it is not a hard job – the side rails just attach to standoffs screwed into a backplate. The pump then screws into the side rails. The 240 EX edition is also a significant visual upgrade over its predecessor. 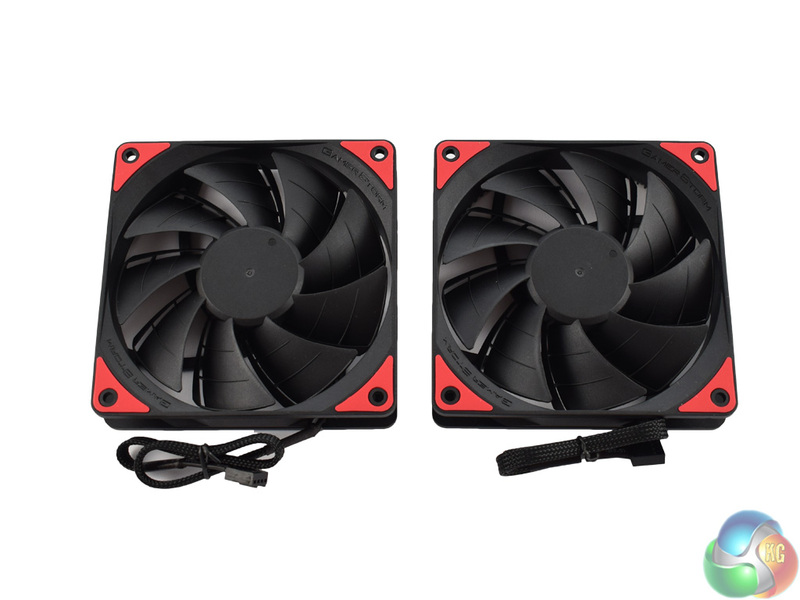 Gone is the corrugated tubing and red fans, and we have rubber hoses and black fans with red rubber mounts instead. The red ‘reactor’ pump is the same, which lights up red when the system is powered on. 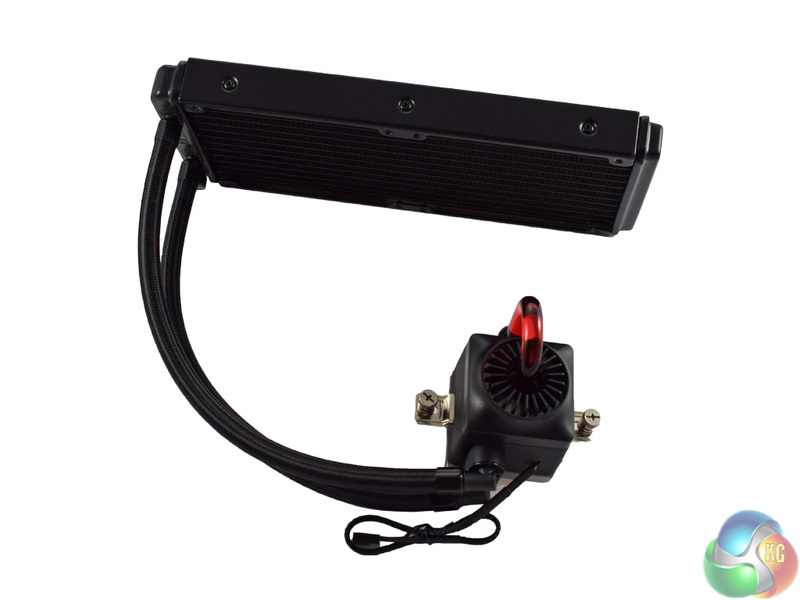 It is also worth pointing out the Captain 240 EX ships with a 4-fan PWM hub. 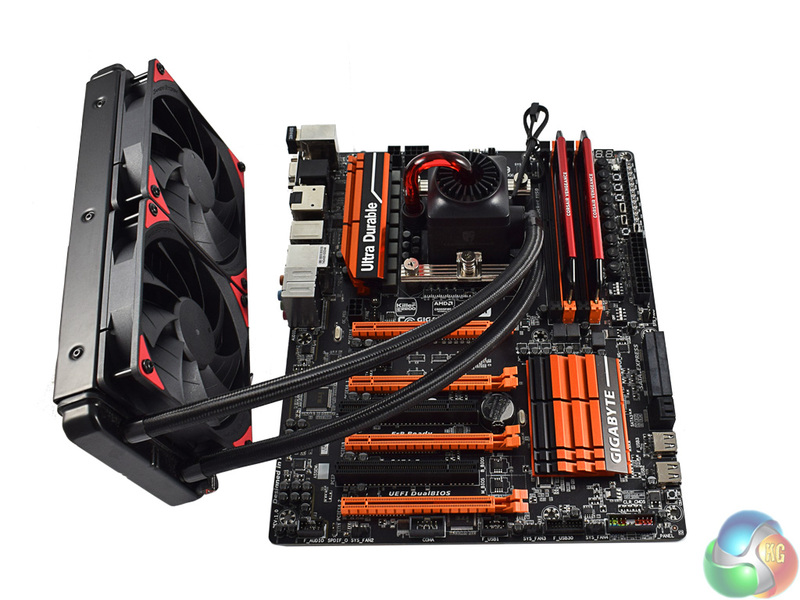 The idea is that the pump 3-pin power connects to one CPU header, while the PWM hub connects to the other. You can then connect the Captain’s fans to the hub. It is a neat idea and works well. 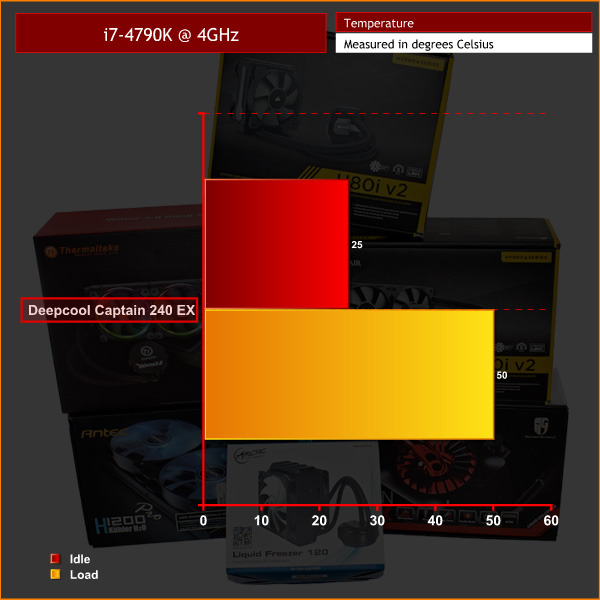 For a 240mm radiator, the Captain 240 EX performs very similarly to the other AIOs on test. 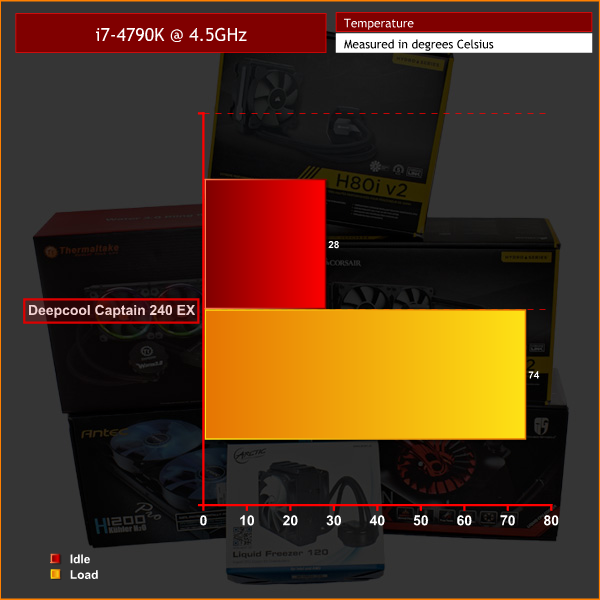 Its highest temperature at stock speeds, though, was just 50 degrees – only one degree warmer than the H100i V2. Its greatest asset is its quiet operation, though. The pump noise is very quiet, and definitely the quietest on test today. 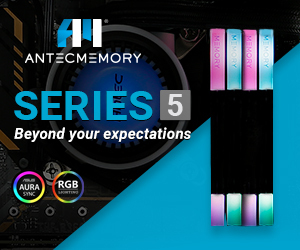 The fans barely spin at stock speeds – they actually turned off when idling – and under load there is not more than a slight whirr coming from the fans. 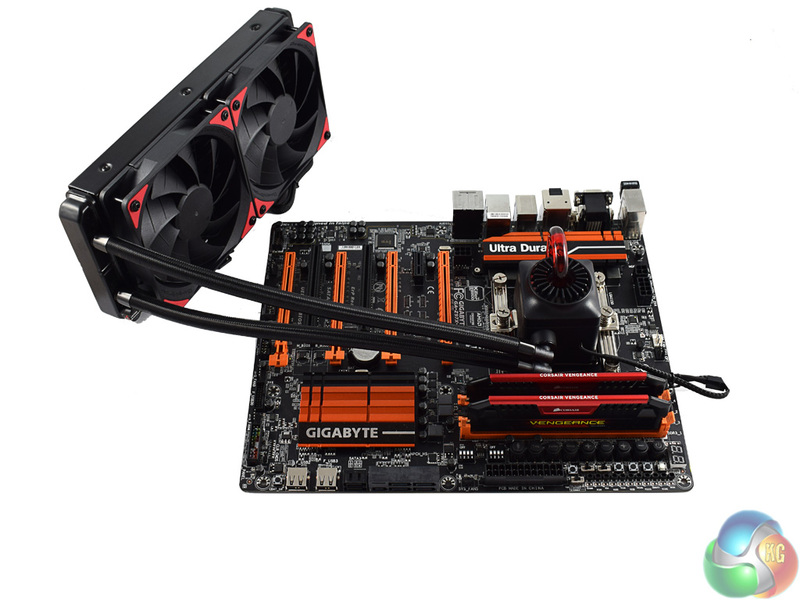 It is very impressive just how quiet the AIO stays. 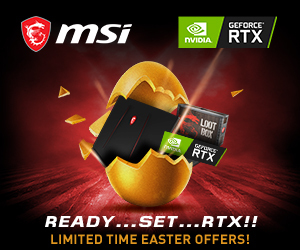 You can buy one from Amazon for £99.99 HERE. 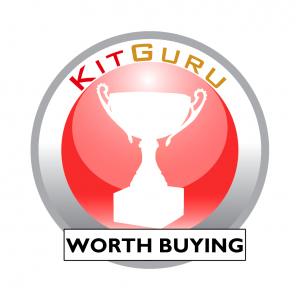 KitGuru says: The Deepcool Captain 240 EX wins our ‘worth buying’ award for its decent temperatures and near-silent operation.